Heading down to the D next week for my first attempt at spring walleyes. 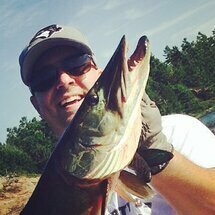 I have fished Muskie many times in the fall on the mouth of the St Clair but never really explored the river too much. Any advice would be appreciated. Vertical jigging dark 1 oz. jigs with plastic minnow or live. I finally got there last early May. Controlling the drift was what I found as the challenge due to the stronger than I thought current and wind. We had a 55lb thrust on the boat and it wasn't enough, on full power all day. I was up for a second day but the weather was wet and cold. 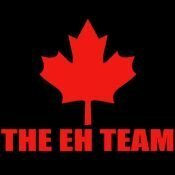 We sure didn't hammer them but no one else was either. We used more than an oz. to get the bait down then I switched to a Lindy type rig with at least 1 3/4 to 2 oz. with Plastic and live shiners. Good luck to you Sir. Dress warm. Same area you fished musky at the mouth (peche isle area) is a springtime hotspot. There will no doubt be a lot of boats doing the drift starting in sturgeon hole down into the channel. If there's a mudline, concentrate your efforts on either side. Try to use as light of a jig as you can get away with and maintain a vertical presentation. Wind will dictate how hard it is to stay vertical. Bow-mount or powerful tiller electric is required to control the drift. Easy to do in a breeze. Gusts and boat wakes make it a challenge. Strong wind makes it feel like work. Heavier jigs will help in these conditions. As you move down river, there are a lot of different drifts that can be good. Quite a few areas that guys fish are 40 feet or more deep. This is where you NEED to go up to 3/4 or 1 oz... Be prepared too fish in large packs of boats. There are a lot of fish in the system currently. So you can really hammer them if you time your trip with prime conditions (green water and light wind) definitely check MODIS site in advance to see what lake st clair looks like before you go. US side is usually better for water clarity, but Canadian side fishes best in prime conditions. Be aware of the border and consider purchasing a Michigan licence if you want more options depending on conditions. 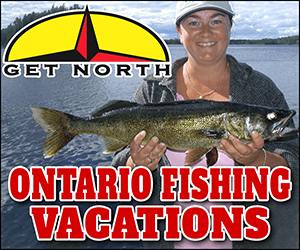 Michigan has a different limit and a minimum length for walleye. good luck! It was slower this week than it was last week. That major weather front upset the apple cart. It should be settling down and next week should be good fishing if the weather doesn't go bananas again. Go with the lightest possible jig you can get away with. 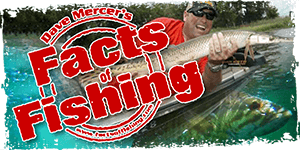 We stick with 5/8th most of the time but on shallower runs will fish 1/2 ounce. I have yet to meet the drift that requires a 1 ounce jig and I tend to only use 3/4 in 40 plus foot of water. Make sure you buy your Michigan license so you can hopscotch back and forth. A day license is $11 including the sports card. Save your sportscard number for future trips as it will save you some headaches. Some of the warmer water at this time of year can be found on the US side from 2 rocks all the way down past the steel plants, and through ecorrse and Trenton channel etc. It was 2-3 degrees warmer yesterday than upriver or the Canadian side. Use stinger hooks, more than 50 percent of our fish come on the stinger in cold weather/water. Good luck! I learned quick strait tail only no curly tails do shad tails. We went that heavy because everything we marked were sitting right on bottom and I couldn't bounce a jig without going heavier. he fish we did get hit the floating jig heads set 6 to 8 inches above bottom. Used barrel sinkers. The same set up we use for Channel Cats on The Grand. Id drop shot a worm with a 24 inch lead...that way you can use a heavier weight in the current if you are having a hard time getting down, but not spook the hell outta the eyes. Maybe its just me but ive always done better with eyes on worms in the spring and minnows in the fall...maybe its just me? !